What Is L-Tyrosine Good For? L-lysine and L-tyrosine are just two of the many amino acids used by the body as building blocks for proteins and in various metabolic pathways. Each amino acid has a specific structure and corresponding function within the body. The exact roles of L-lysine and L-tyrosine are quite different, though both are necessary for maintaining health. L-tyrosine is an important amino acid in the production of neurotransmitters, including epinephrine, norepinephrine, dopamine and serotonin. It also plays a role in the development of the skin pigment melanin. L-lysine, on the other hand, helps the body produce carnitine, which is important for using fat for energy. L-lysine also assists in calcium absorption and in collagen synthesis, according to the University of Maryland Medical Center. Many foods are good sources of L-lysine and L-tyrosine. Meat, cheese, fish and eggs are rich in L-lysine. 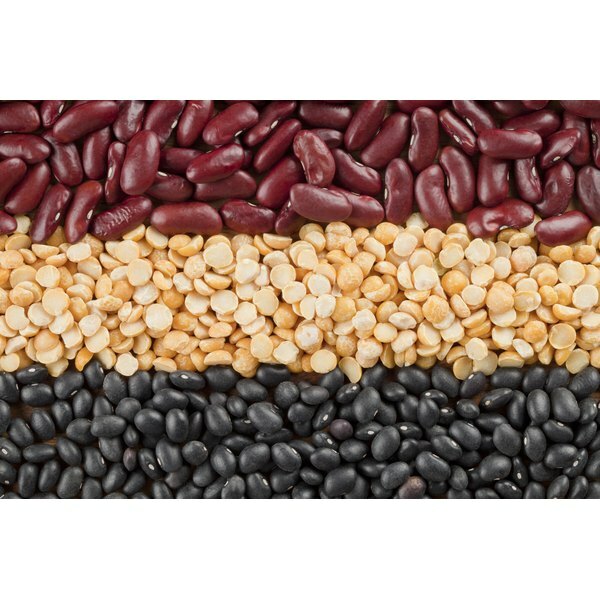 Vegetarians and vegans should aim to get L-lysine from plant-based sources, such as beans, nuts and soy. Soy is also a good source of L-tyrosine, as are poultry and fish. Additionally, avocados, bananas and dairy products, as well as nuts and seeds, are good sources of L-tyrosine. A key difference between L-lysine and L-tyrosine is essentiality. Essential amino acids must be obtained from food, but the body can synthesize its own nonessential amino acids. L-lysine is an essential amino acid that must be obtained from food, and L-tyrosine is a nonessential amino acid that the body produces on its own from another amino acid called phenylalanine. But individuals with a condition called phenylkenonuria, or PKU, are unable to convert phenylalanine into tyrosine, making tyrosine an essential amino acid for those with PKU. According to MedlinePlus, a service of the National Library of Medicine, taking L-lysine supplements may help alleviate cold sores and fever blisters. Because L-lysine plays a role in calcium absorption, it may also help prevent osteoporosis. L-tyrosine’s role in neurotransmitter production has led to investigation of its potential to improve alertness and memory in people who are under stress or are experiencing sleep deprivation. The University of Maryland Medical Center notes, however, that there is limited evidence demonstrating its effectiveness. L-tyrosine may increase levels of thyroid hormone and should not be used by those with hyperthyroidism or Graves disease. It also may increase incidence of migraine headaches in those who experience migraines. While L-lysine is generally safe in moderate doses, high doses have resulted in gallstones and high cholesterol levels in animals, notes the University of Maryland Medical Center. Steven Lalevich is a registered dietitian who began writing in 2010 for various websites. He graduated Phi Beta Kappa, earning a Bachelor of Arts in economics from Indiana University where he also completed the didactic program in dietetics. Lalevich is pursuing a Master of Science in human nutrition at the University of New Haven. Can I Eat Seaweed If I Have Hyperthyroidism? Can You Take L-Tyrosine and Caffeine Together?